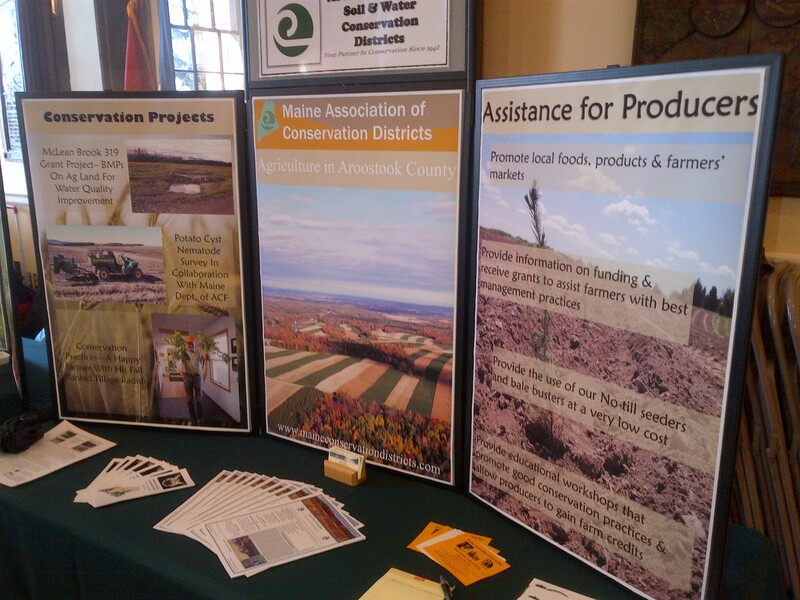 Maine’s Soil & Water Conservation Districts presented their latest programs to legislators at the annual Conservation District Day at the State House in Augusta. District displays focused on local accomplishments with agriculture, forestry, invasive species, wildlife, lakes, urban issues, and water quality. Senate President Justin Alfond, House Majority Leader Seth Berry, and Assistant Majority Leader Jeff McCabe thanked Districts for their presence and offered support. Senator Emily Cain and Representative Dennis Keschel from the Appropriations Committee spent time viewing displays and talking with District employees. 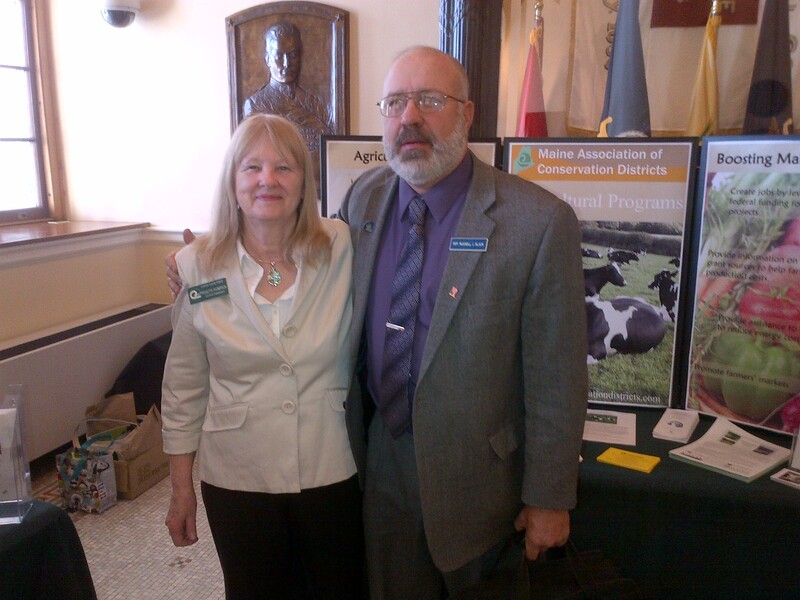 Districts thanked members of the Agriculture, Conservation & Forestry Committee for their ongoing support. 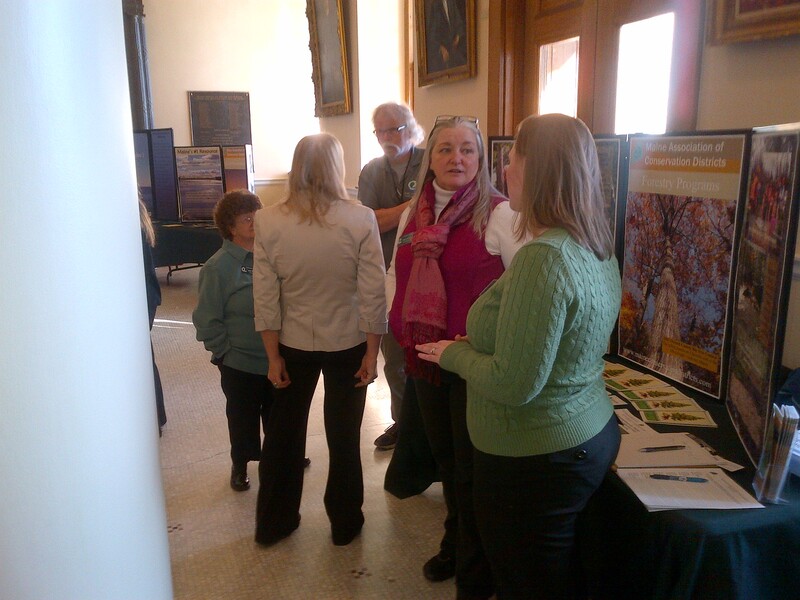 Legislators from every county in Maine took time out from their busy schedules to visit with their Conservation Districts, renew acquaintances, and learn about the effectiveness of locally-based programs for natural resource conservation.